The founders of the Cooper Hewitt collection, Eleanor, Sarah and Amelia Hewitt, had a passion for bandboxes and over the course of their tenure had amassed nearly 100 boxes, creating one of the larger collections of such boxes in the United States. 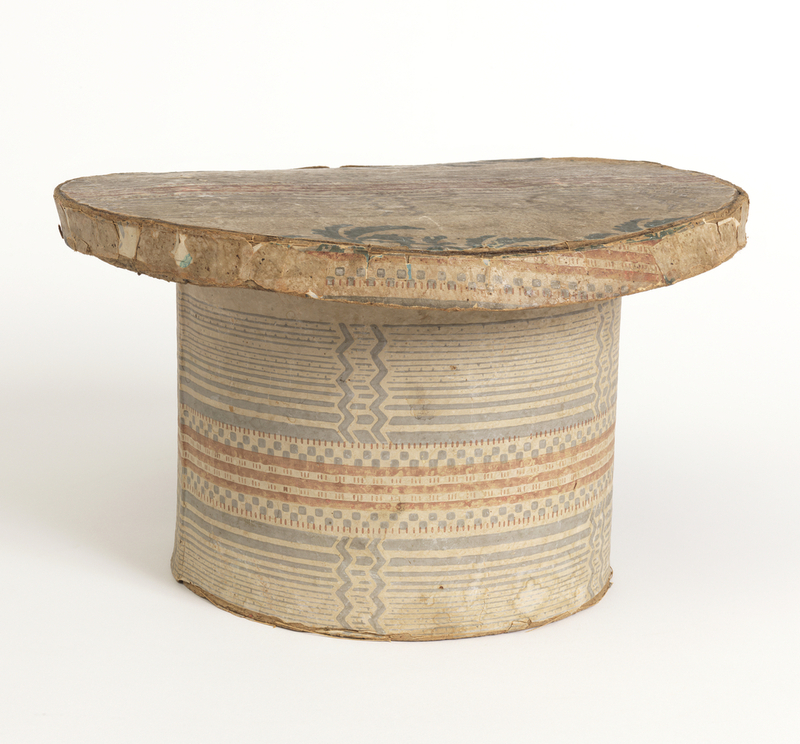 The majority of the boxes in the collection are about hat box size, though they can range from about 1 ½ times that size, to much smaller boxes used to contain sewing implements. There is even one that is a wallpaper-covered stick match box measuring about 1 ½ x 3 inches. Bandboxes, originally designed for storing and transporting men’s collar bands, were commonly used as general carryalls. Within this collection of boxes are three designed specifically for holding hats or bonnets. I find this box particularly appealing as it is in the shape of a man’s top hat and was among the first boxes collected by the Hewitt sisters. Top hats were worn by men beginning in the 1790s and remained fashionable into the early twentieth century. Until World War I the top hat was still a standard item in men’s formal wear, but had become a rarity by the end of World War II. Top hats were available in a variety of sizes and shapes: those with relatively straight sides were referred to as stovepipes, while those with more convex sides were called chimney pots. This box appears to have been created for the stovepipe variety, the type favored by Abraham Lincoln. The box is covered with a very simple three color striped floral wallpaper pattern with the green floral stripe mostly visible on the brim part of the box.